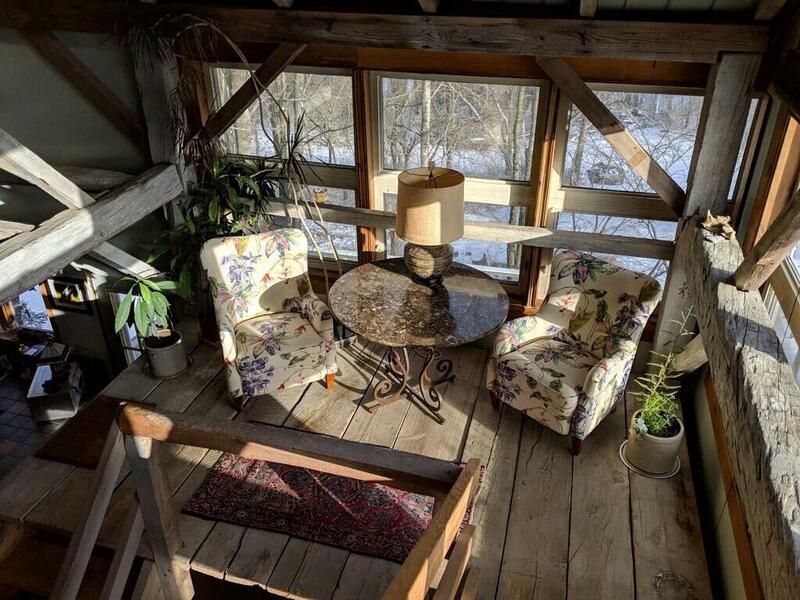 Unique converted post and beam, country home. Updated with all the creature comforts of a modern home. Frewsburg schools, secluded country setting yet minutes from the village of Frewsburg. 25 acres of hunting hiking and hardwoods. For the horse enthusiast a custom built 4 stall barn with European style box stalls, wash stall, insulated tack room and 200 bale hay loft, brick paver center aisle and 100x200 riding ring with sand footing. Acres of fenced turnout space. Hiking and ATV trails, 2 creeks cross the property, abundant wildlife. Brand new 30x40 pole barn with 3 12 ft. bays. Large covered porch steps onto 15x40 paved patio. Perfect for family gatherings and BBQ. Directions To Property: Rt. 60 Into Frewsburg, Frew Run Rd. To Wiltsie To Sandberg.